Our commitment to providing the highest quality repairs coupled with customer service is second to none. We have structured AutoBahn Collision Center in such a way so as to streamline communication and improve customer service by leveraging the technology within our management system software to provide us with key performance indicators that can be monitored and controlled. By staying current with the latest technology and repair methods, we can keep our promise to you by restoring your vehicle back to pre-accident condition. AW Collision is proud to be recognized as I-Car Gold Class certified as well as Certified from each manufacturer in order to have qualified repairs that impact your warranty and safety. 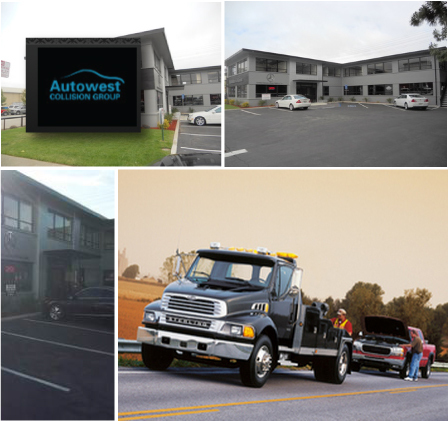 When you couple the above with our added value Services which include; on site rental arrangements, our 24 hour tow night drop / valet fleet, our "Lifetime Guarantee" express repair, and interest free financing for those who qualify you have a collision repair facility that is truly a one stop shop for convenience and customer service. We look forward to meeting you and assisting with returning your vehicle to pre-accident condition!